The Achilles Injury Institute was established at the University Foot and Ankle Institute (UFAI) in 2003 as a center of excellence for the care of patients with Achilles and heel pain symptoms. Our founding doctors, Dr. Bob Baravarian and Dr. Gary B. Briskin, are UCLA Medical Group members and Assistant Clinical Professors at the UCLA School of Medicine. The doctors of University Foot and Ankle Institute are considered among the top Achilles specialists in the field, and have trained countless other foot and ankle specialists in the latest treatments and technology related to the care of Achilles tendon ailments. 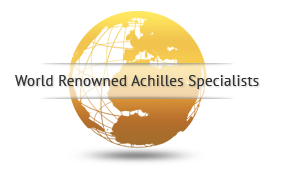 Not only are our Achilles specialists on the cutting edge of Achilles treatments; they are also widely regarded as authorities in the field. 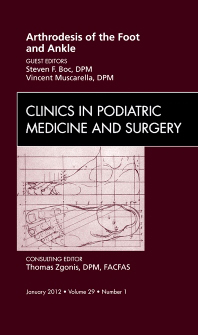 Dr. Baravarian has been quoted in Podiatry Today on the use of Topaz treatment, among many other subjects, and is Chief of Podiatric Surgery at Santa Monica / UCLA Medical Center. Our Achilles specialists are able to provide insight on the latest medical devices because they are constantly tapped by orthopedic product companies as consultants. 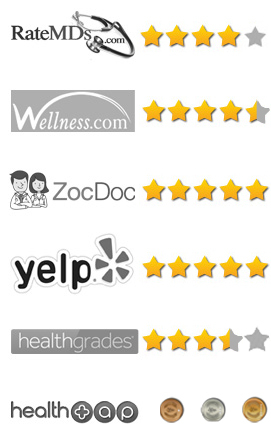 These companies trust our doctors to participate in product design, provide feedback, and train other physicians in the use of the latest techniques. Because of our relationships with so many top companies, our patients have the option to choose procedures that are not performed elsewhere. If you are living with Achilles tendon pain, make your appointment to see the Achilles specialists at the Achilles Injury Institute. Their combined expertise, research, and cutting-edge techniques make them the obvious choice for your Achilles tendon treatment.